Cracking interview with the director of Eighties. 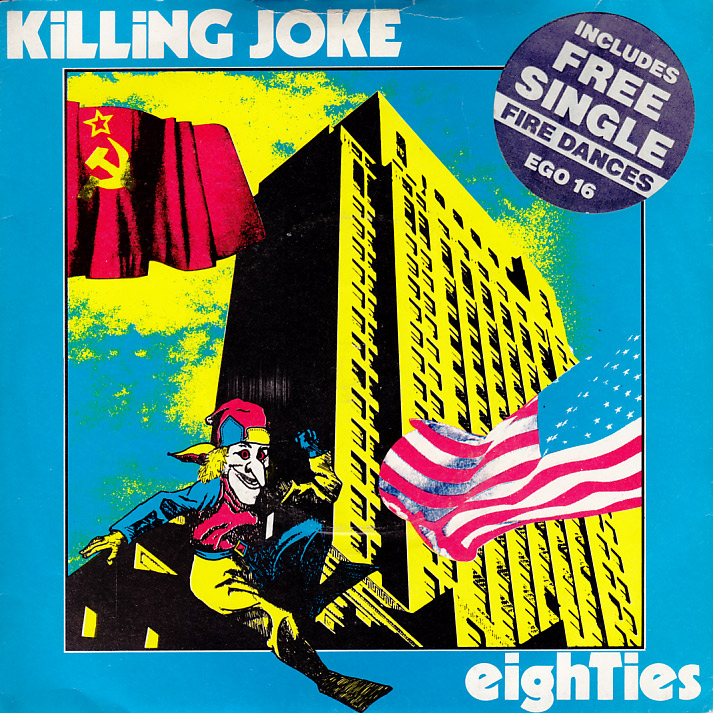 The utterance of the phrase “Eighties” usually serves as a catch-all for pop culture fans nostalgic for the Reagan years, but in 1984, it meant a take-no-prisoners music video that bombarded fans with their first taste of British post-punk industrial legends Killing Joke. Unleashing a treasure chest of button-pushing imagery that included burning books, dog weddings, John Delorean and melting faces, “Eighties” presented the case for revolution. The band’s volatile pronouncement to “push push struggle” translated perfectly in this darkly thought-provoking music video, and British director Anthony Van Den Ende (A Flock of Seagulls, Love and Rockets) shared his recollection of shooting this memorable clip. via Director Recalls Killing Joke’s “Eighties”; “They Were A Frightening Band”. Also amazing. A 12″ mix had a whole different meaning back then.